This morning I had a plan to drive Priyasha to Candice's house. Priyasha was thrilled to hang out with Raya. Pravan also wanted to ride with me instead of the bus. It was crazy getting out the door. I was stressed and there was so much to do.Priyasha was clingy when I dropped her off but she was fine after a while. I raced to get Pravan to school before the tardy bell rang. On the way to school we saw several hot air balloons. 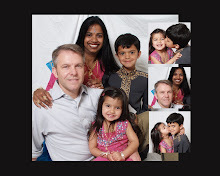 The kids were excited and Pravan had just realized that it was that time of the year again. It has been a hot Septemeber so he did not think that it was time for the balloon races. Reno is always filled with fun events. Last weekend was the rib festival and next weekend is the Reno Air Races. Well the kids are thrilled and excited to go and see the balloons early on Saturday morning. It was so busy this morning that did not even have time to get a cup of anything. I had no time for breakfast or my magic tea. I thought I would stop at the store and get coffee. I am a tea snob. I like my tea just so and the stores do not make it the British way so I would much rather get coffee even though I do not normally drink it. Well due to that reason I had no idea where to get one so I didn't. 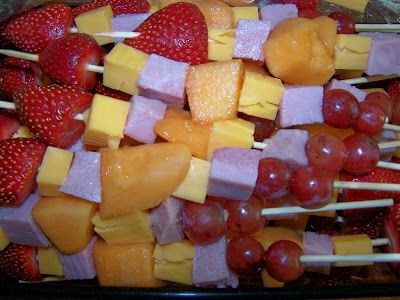 I also made Pravan's classmates snacks and that took up most of my morning. 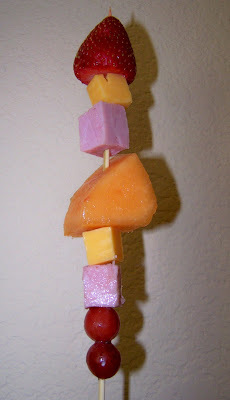 I made kebabs with ham , cheese, cantaloupe, grapes and strawberries. The kids loved it. Some kids had second and third helpings. I helped his teacher get some math papers in order and filed some stuff. I also helped with recess duty. I could hardly keep track of Pravan. From the moment he was released into the playground he was running all over the place. That kid did not rest at all. I was exhausted trying to follow him. It would be a great workout though. He was sad to see me leave when it was time for me to get Priyasha. Priyasha had a good time playing baby dolls with Raya but she was happy to see me. We headed home and she took a nap. I used that time to clean up the house before Pravan got home. When he came home I had him play in the backyard with his sister and we hung out on the trampoline. Thanks for stopping by and reading about my crazy day as a mother.